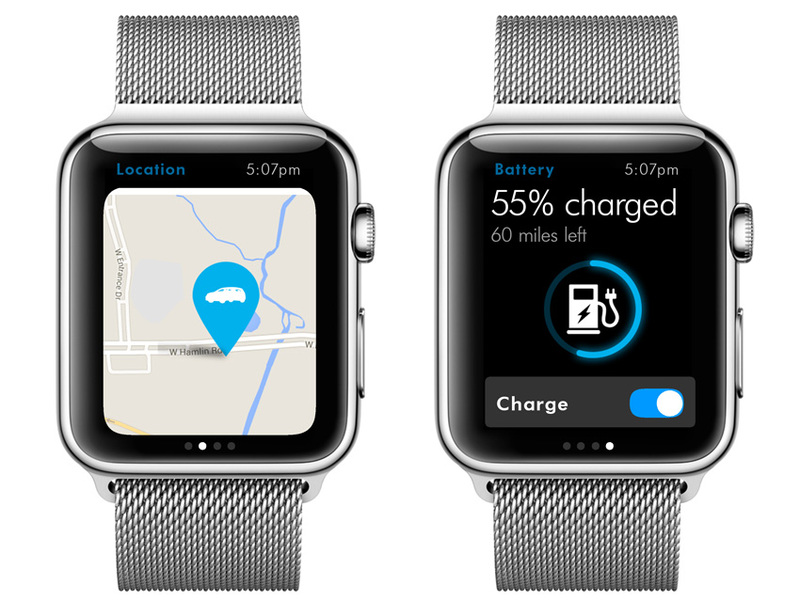 New Volkswagen vehicles will be synched with the VW Car-Net app, allowing drivers to access their vehicle through the new Apple Watch, the carmaker announced Tuesday. VW’s app will enable their customers to keep an eye on their car when they’re away from it, remotely lock doors and open windows, and locate cars that have fallen into the black hole known as the Westside Pavilion parking garage (assuming you can get a signal, of course). If you’re at Coachella, for instance, you can have the lights and horns go off to make it even easier. Fuel counts will also be accessible on the watch, as will charging levels for electric vehicles like the e-Golf. Meanwhile, helicopter parents can also keep track of where, and how fast, their cars go when they’re not behind the wheel. BMW and Porsche have also announced collaborations with Apple Watch, but Volkswagen is the first non-luxury brand to offer Watch-enabled features. Hyundai and Ford are hot on VW heels, though. This App Will Change the Way You Explore L.A.